Robbie (Scott) is a handsome but cocky blind athlete. Bill (Kroll) is his less handsome, guilt-ridden brother, whose role in life is to serve as his brother’s eyes. After guiding Robbie through a marathon, Bill thinks his job is done. But Robbie wants his brother to guide him on a sponsored swim across the lake in their small town. Although exasperated, Bill relents. At a bar the same evening, he meets Rose (Slate) who thinks she’s responsible for the death of her ex-boyfriend, and the two connect over their shared guilt. Bill thinks he has found his soul mate until she won’t give him her number the following morning. 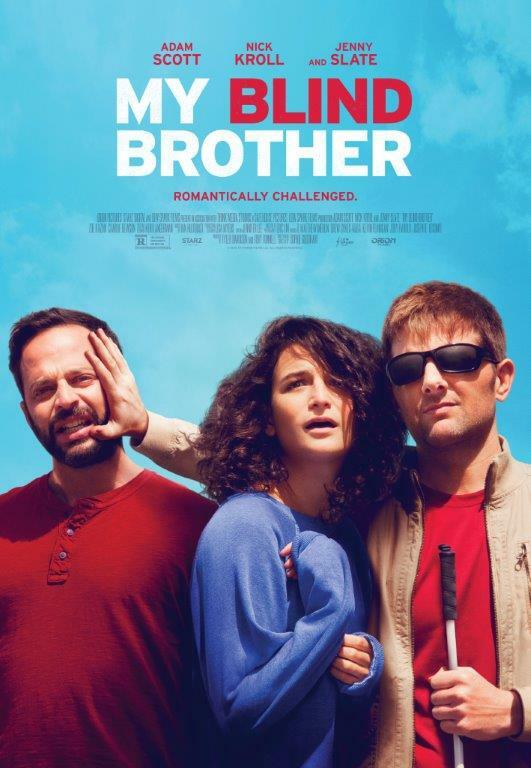 He’s consoled when Robbie tells him he’s off the hook for training—until he finds out that his brother’s new guide is Rose – a woman both brothers quickly begin to fall for. Their feelings escalate over the weeks leading up to the swim, causing tension between the two of them that boils over while in deep water.